Composed by William Bay. 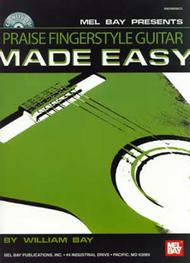 Saddle-stitched, Style, Tunebook, Gospel/Sacred, Children and Young Beginner, Solos. Made Easy. Sacred. Book/CD set. 32 pages. Mel Bay Publications, Inc #20880BCD. Published by Mel Bay Publications, Inc (MB.20880BCD). ISBN 9780786607372. 8.75 x 11.75 inches. 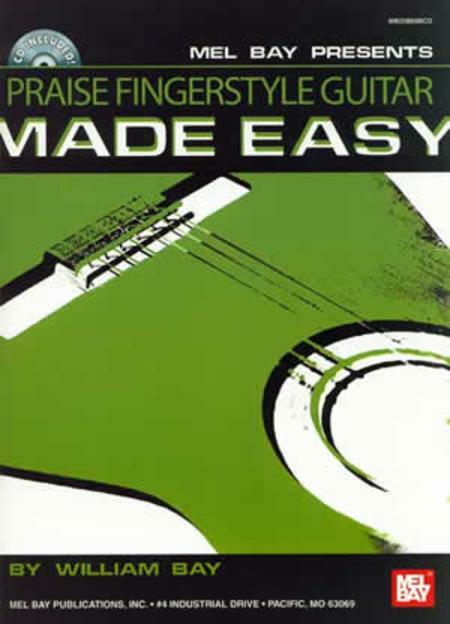 Today's top praise songs scored in notation and tab for easy to play fingerstyle guitar. Songs include Sanctuary, As the Deer, Give Thanks, Lord, Reign in Me, Draw Me Close and many more. A companion CD is included. On the CD each piece is played twice, once as a guitar solo with accompaniment and again as a back-up track so the guitarist may practice the piece and use in a worship setting; ideal for small group or church performance.